The year is 1936. The leaders of Pacific Dirigible Airlines are monitoring the maiden voyage of the airship San Francisco between California and Australia. 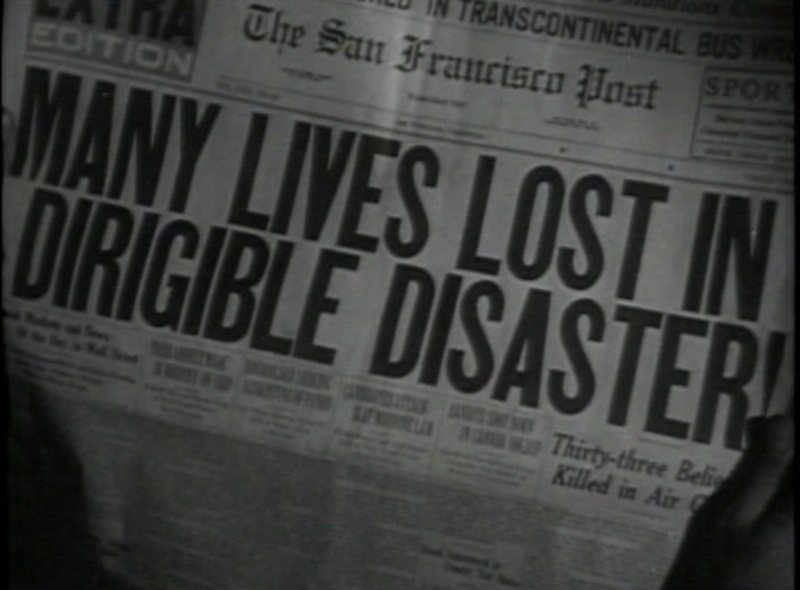 Just before the dirigible reaches the mid-point refueling station at Clipper Island, disaster strikes! The radio operator on Clipper Island, half dead, reports that something has destroyed the fuel tanks. The island is taboo to the native Komatoans; have they risen in revolt, or was it the vengeance of their volcano god, Pele? The three directors, Ellsworth, Canfield, and Jackson, don’t have time to worry about that: if the San Francisco is forced to turn back, the fledgling company will be ruined. Suddenly, the airship itself is on fire and doomed to crash before it ever reaches the island. Oh, the humanity! Unbeknownst to both Mala and Melani, Porotu is secretly in league with a spy ring called the “Black Chamber,” led by a mysterious person known only as “H. 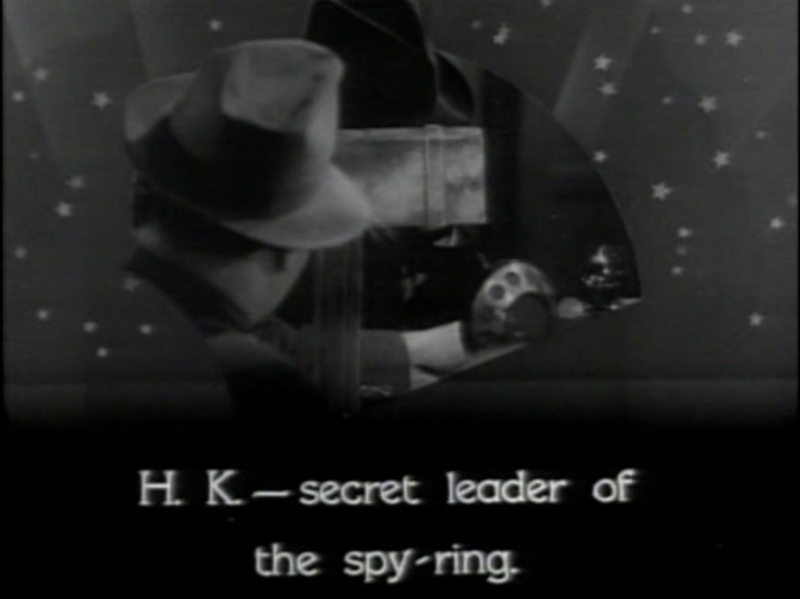 K.” (Whenever H. K. is shown on screen, his face is blocked by a lamp, and his voice is dubbed.) The spies have a base in an old stone fort atop the volcano on Clipper Island, a location convenient for them to tap into the Trans-Pacific Cable to intercept secret messages (the main part of the villains’ lair that we see is an elaborate code-breaking operation led by Draker, the head of the Clipper Island branch). Porotu and the Black Chamber are working together to keep unwelcome guests off the island. Will Mala gain the trust of Princess Melani and her people? Will he discover the true identity of “H. K.” and smash the spy ring? Will the successful establishment of a dirigible route across the Pacific ensure that airship travel is the wave of the future? 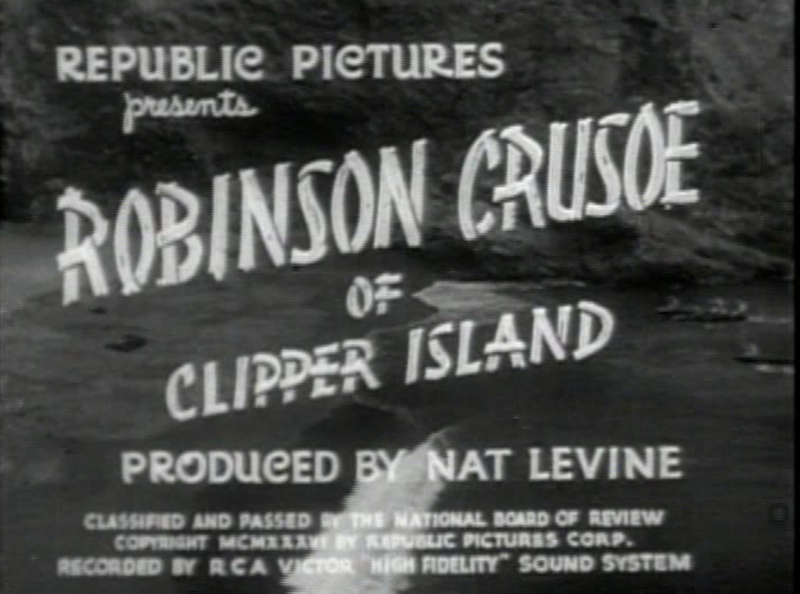 These questions and more are posed over the fourteen episodes of Robinson Crusoe of Clipper Island. The hero is played by Mala (aka Ray Mala, née Ray Wise), a half-Native Alaskan who had already come to fame as the star of Eskimo (aka Mala the Magnificent) and the Tahiti-set Last of the Pagans, and who would lend his lean, athletic presence to several more features (and two more serials) as both an actor and as a cameraman and cinematographer. 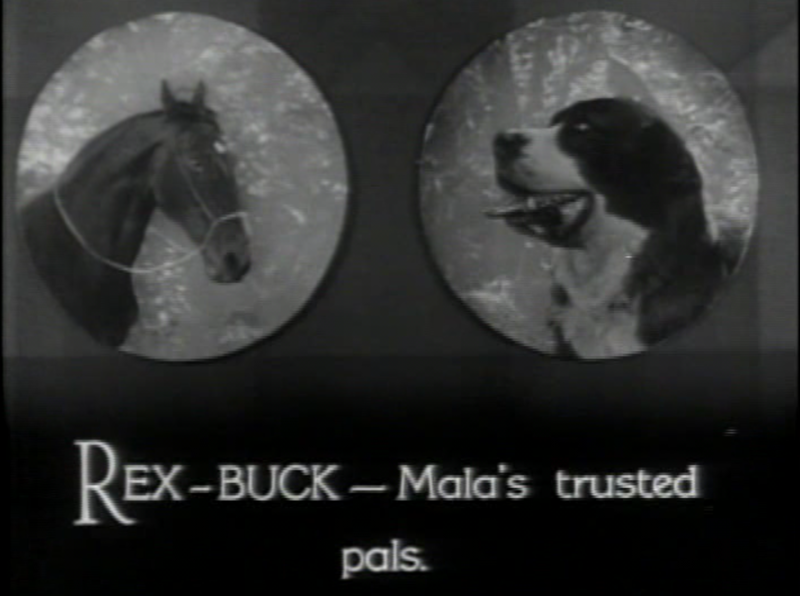 Mala is celebrated as the first Native American movie star, and is a notable exception to the almost exclusively white serial heroes. 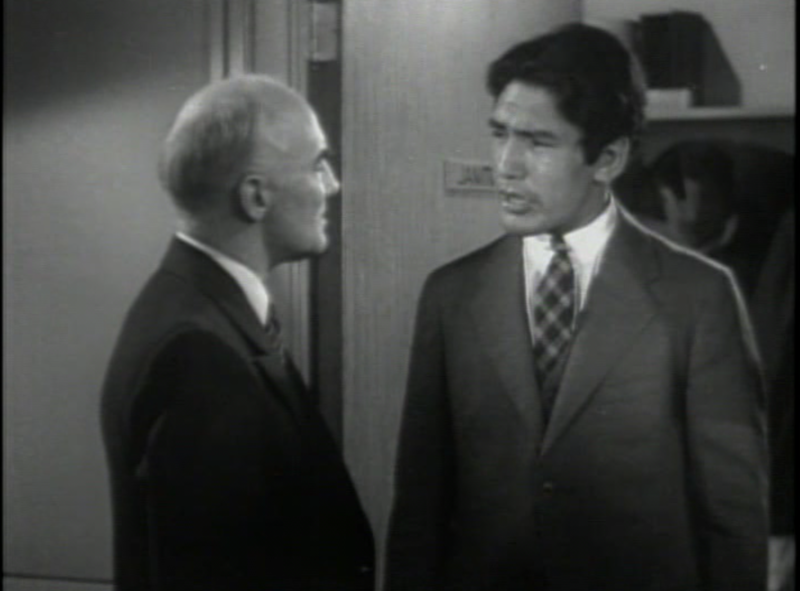 The character he portrays is also named Mala, but as an apparently Polynesian g-man, it would be a stretch to say he appears as “himself,” even by the loose standards of Hollywood. I previously mentioned the deliberately apolitical invaders and menaces in the serials, pulps and comics of the 1930s. 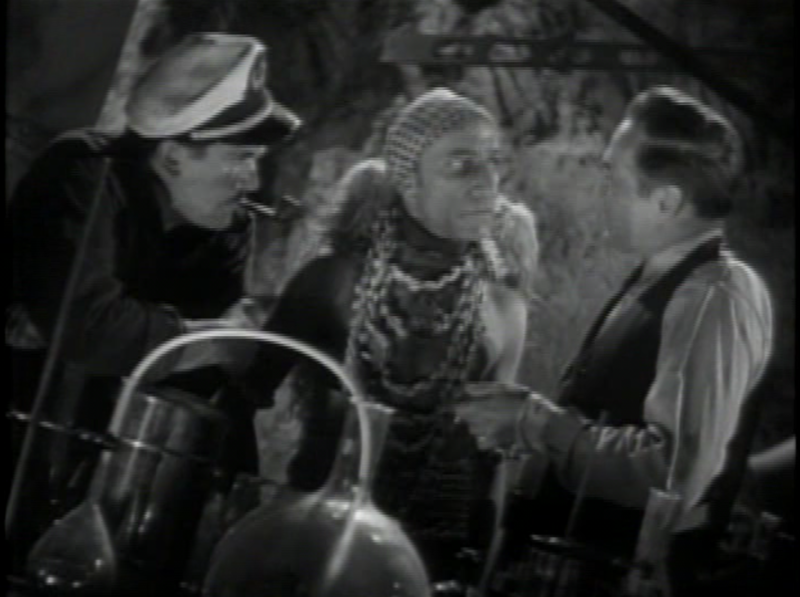 Robinson Crusoe is more down to earth than Flash Gordon but no less circumspect: H. K. and the Black Chamber are not identified with any nation or cause. The Pacific setting implies a Japanese connection, but the Black Chamber is shown to have branches all over the world. Depending on one’s perspective, the spy ring could represent fascism, international communism, or even gangsters intercepting government secrets for their own financial gain. 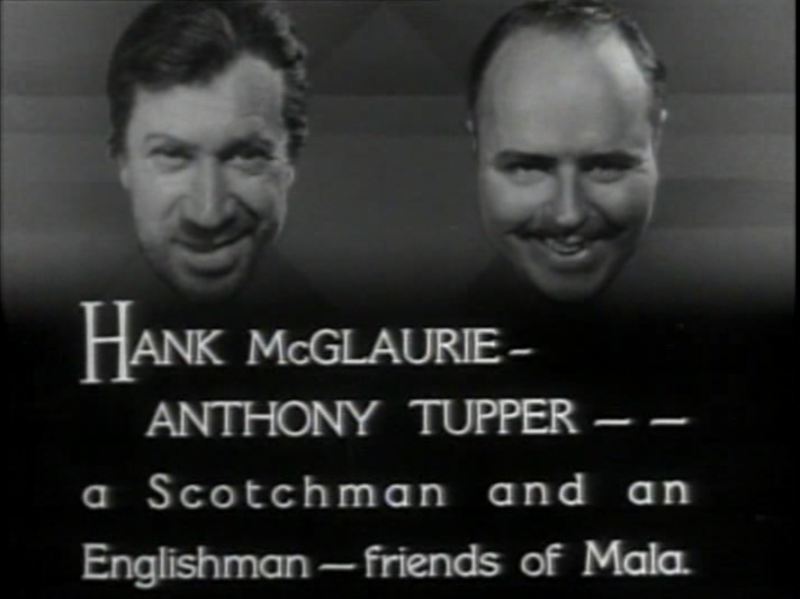 The filmmakers may have had their own politics, but vagueness was undoubtedly better for business. Robinson Crusoe of Clipper Island transposes many conventions of jungle adventure—primitive tribes, wild animals, and exotic locales—to its island setting. Like the “modern Western” and “Canadian mountie” genres that were also popular, it combines the picturesque setting and colorful native peoples of the frontier with such contemporary touches as automobiles, airplanes, and radio. Over the course of the serial, a fleet of vehicles are featured traveling by land, sea, and air: dirigibles, a submarine, seaplane and biplane, and more. Also like some other serials, it features white evildoers manipulating presumably superstitious natives through modern technology: Robinson Crusoe of Clipper Island includes a volcano that can be made to erupt at will, allowing the spies to pose as the Komatoans’ god and strengthening Porotu’s position. The high priest claims that “Pele is quick to destroy those who arouse the wrath of the gods!”, even threatening to sacrifice first Mala and later Melani in a pit of molten lava, but the technology that stokes the volcano predictably gets out of control and destroys both the spies’ fort and Porotu by the end. Where I Saw It: I watched a Hal Roach Studios DVD, but it is on YouTube starting here. Best Cliffhanger: “Trail’s End” (Chapter Seven): After rescuing Melani from Porotu’s attempt to sacrifice her to Pele, Mala tries to leap with her across a boulder-strewn gorge. The boulder they land on isn’t steady enough, and the two fall helplessly into the abyss. How are they going to get out of this? Annie Wilkes Award for Most Blatant Cheat: Weeeell, as it happens “Trail’s End” doesn’t play quite fair. At the beginning of Chapter Eight, Mala and Melani grab a vine and pull themselves to safety in noticeably different footage. I wrote CHEAT!!! in my notes. “Trail’s End” is only the runner-up for this award, however, as Chapter Ten (“Wings of Fury”) features an even more blatant cheat. Mala, back in San Francisco, is chasing down a member of H. K.’s organization, a pilot. The pilot jumps in a biplane and takes off, with Mala clinging to the side of the cockpit. The pilot tries to shake him off, but when Mala gets him in a headlock the pilot loses control of the plane, and it crashes into the water of San Francisco Bay . . . until the beginning of Chapter Eleven, that is, when the biplane pulls up and avoids the water at the last minute. The cockadoodie plane crashed, I tell you! I saw it! CHEEEEEAAT!!!!!! What’s Next: In 1943, a costumed crime-fighter made the leap from the comics to the big screen, not for the last time. Join me in two weeks for a look at Batman.